Before opening Simikot-Hilsa route, travelers used to travel to Mt. Kailash & Lake Manasarovar either via Lhasa or via Zhang-Mu. From 1993, travelers started to make a tour to Mt. Kailash and Lake Manasarovar via Simikot-Hilsa route frequently. This route is the shortest and the most practical for trekkers in terms of both elevation and distance. The tour to Mt. 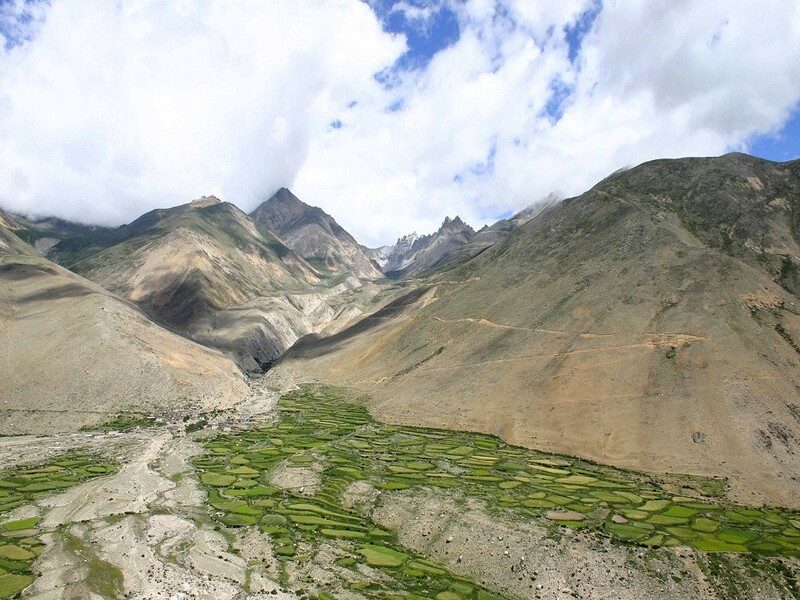 Kailash commences from Simikot which is situated at an elevation of 2910 meters and climbs up to Na-Lagna pass (4330 meters) before reaching the arid Tibetan Plateau. From Kimiko, it takes a 6 day’s journey to reach the Tibetan border town which is plenty of time to be acclimatized in high altitude. 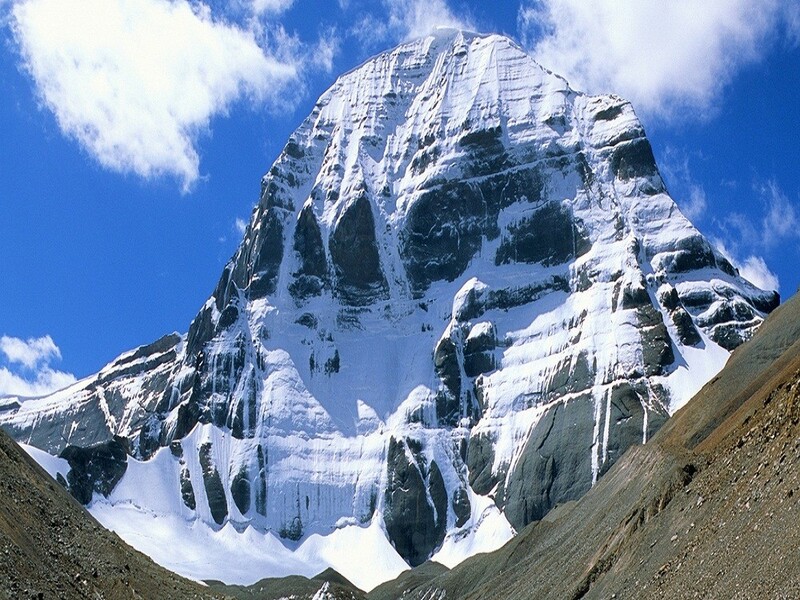 Simikot - Kailash trekking, tour to Kailash, Kailash tour and trekking. There is no direct air service from Kathmandu to Simikot, so travelers generally have to fly Simikot via Nepalgunj, the regional hub of Western Nepal. From Kathmandu, we either have to take a 12 hours overland journey in a bus or have to take an hour’s flight to Nepalgunj both options are available on regular basis. Nepalgunj - Simikot flight operates early in the morning, so we must stay a night in Nepalgunj to catch an early morning flight the next day. Monsoon rains often make the Nepalgunj-Simikot flights delay and make it difficult to get tickets, so it is always better to book this trip as earlier as possible. As we trek for 6 days through one of the most remote regions of Nepal, we have to bring all logistics that require during our trekking portion in Nepal side. The rest of the logistics which are required during our journey to Mt. Kailash will be supplied via the alternative route (Zhang-Mu). A supporting truck will come all the way from Lhasa to Nepal border (Kodari, near Zhang-Mu) to fetch the equipment (kitchen and camping), foods and bring them to Hilsa border before the group reaches there. Due to the small room in aircraft, the logistics which will be required for the entire journey cannot be supplied via Simikot route only. Also, this requires huge manpower to carry all the logistics to the Hilsa border and by then most of the fragile items will be destroyed. So, we must supply the foods and other logistics to Mt. Kailash and Lake Manasarovar from the alternative route. Day 02: Kathmandu sightseeing. Hotel / (B / D) Welcome dinner with live Nepali cultural show an evening. Day 03: Kathmandu sightseeing. Hotel (B). Day 04: Fly to Nepalgunj. Hotel (B). Day 05: Fly to Simikot. Trek to Yakba Khola (4-5 hours, 270m ascent, 980m descent). (B / L / D). Day 06: Trek to Chumsa Khola (5-6 hours, 740m ascent, 230m descent) (B / L / D). Day 07: Trek to Muchu (4-5 hours, 260m ascent, 160m descent) (B / L / D). Day 08: Trek to Torea (4 hours, 710m ascent, 70m descent) (B / L / D). Day 09: Trek to Tharo Dunga (4 hours, 570m ascent, 60m descent) (B / L / D). Day 10: Trek to Sher (4-5 hours, 560m ascent, 860m descent) (B / L / D) Cross the border, and drive to Taklakot. Day 11: Drive to Darchen (B / L / D). Day 12: Trek to Tarboche & Chuku Gompa (B / L / D). Day 13: Trek to Dira-Puk (B / L / D). Day 14: Trek to Mani Camp (over the Drolma La) (B / L / D). Day 15: Trek to Darchen, Drive to Tarboche. (B / L / D). Day 16: To Chiu Gompa and Lake Manasorovar (B / L / D). Day 17: Drive to Paryang (4700 meters) (292 kms / 08 to 09 hrs) (B / L / D). Day 18: Drive to Saga (4600 meters) (252 kms / 07 to 08 hrs) (B / L / D). Day 19: Drive to Lhatse (4080 meters) (200 km / 06 hrs) (B). Day 20: Drive to Shigatse (3900 meters) (157 km / 05 hrs) (B). Day 21: Drive to Lhasa (3650 meters) (B). Day 22: Lhasa Sightseeing (B). Day 23: Lhasa Sightseeing (B). Day 24: Flight to Kathmandu. Hotel (B). Day 25: Final Departure (B).